When developer Thomas Safran & Associates purchased Inglewood’s Eucalyptus Park affordable-housing complex in 2015, Jordan Pynes, the firm’s president, said tenants greeted him with tears of joy. 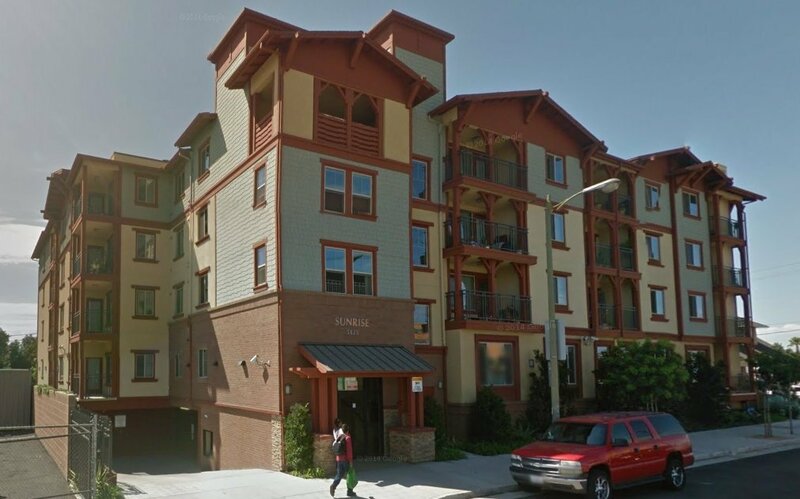 That’s because rents at the 93-unit property were set to rise to market rate within 12 months, but Safran extended restrictions that allowed tenants to pay a set percentage of their monthly income toward rent for 55 more years. Eucalyptus Park was at the forefront of a wave of rent-restricted units that are seeing such limits lapse, leaving lower-income tenants facing the prospect of their rents quickly moving to market rate. As many as 4,000 such units are at risk of going market rate this year in the city of Los Angeles, according to the Los Angeles Housing and Community Investment Department, while nearly 11,800 additional units spread out among 334 buildings might see their rent limits removed over the next five years. That total accounts for properties built using funds from L.A.’s now-defunct Community Redevelopment Agency; its successor agency, the Housing and Community Investment Department; and federally funded projects. About 2,200 city-funded affordable-housing units had their rent restrictions expire between 2012 and last year, according to the housing department, as the 20- and 30-year deals that brought them CRA funding lapsed. More people scrambling for fewer units makes Los Angeles a less affordable place to live, said Paul Habibi, an instructor in real estate at UCLA’s Anderson School of Management. Safran’s Pynes said his firm has acquired 2,000 affordable units across Los Angeles County over the last 10 years and extended rent restrictions at those properties. The company finances the transactions with low-income housing tax credits – federal incentives for affordable-housing investors that are administered by states and local jurisdictions. “It’s a very effective public-private partnership,” he said. HCID officials have also been reaching out to owners of affordable-housing properties where rent restrictions are set to expire and has been offering incentives to extend those limits. That could mean forgiving the interest accrued on a loan from the city or giving cash to fix up the building. But Raphael Bostic, a professor at USC’s Lusk Center for Real Estate, said many landlords won’t find those incentives very enticing. “If you think about Los Angeles, where rents have gone up a lot … very few landlords would agree to miss out on that potential forever,” he said. Habibi agreed, noting the city’s incentives are unlikely to match what an owner could earn through market-rate rents. “The delta between market rate and affordable rate for that many units over a future time interval is not chump change,” he said. One property facing an imminent rent increase is the Santa Fe Art Colony downtown, a 57-unit artist complex whose 30-year rent restrictions will expire in October. “If the rent goes up, I’ll have to move,” said Matt Aston, a low-income artist who has lived at the property for 15 years. He pays $981 a month in rent for a 1,217-square-foot loft. Aston said he has received notice that his rent will increase by more than 50 percent. Several other artists have also received notice. A handful, whose rents have remained very low because they’ve lived in the building for 30 years, would see their rents double. “They knew when they moved in what the situation was. We’ve lived up to our bargain with the city,” said Colony co-owner Marvin Zeidler, noting the extra money would go toward repairs and remodeling. He also said the new rents would still come in below market rate and that the building would be geared toward artists. The tenants, however, hope to meet with the city to help devise a potential solution. “We’re interested in protection rather than the goodwill of the owners,” said Sylvia Tidwell, head of the Colony Tenants Association.